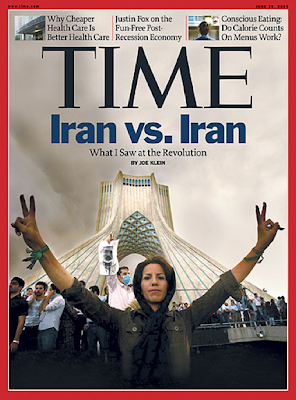 Time Magazine's cover picture about the protests in Iran carries a credit line that says the photo has been "digitally altered." It doesn't say HOW the photo was altered, so I find the disclosure pretty much useless. It's fairly common practice for page designers to extend the sky at the top of a picture or the dark areas at the bottom of a picture to fill out the dimensions of a page, and/or to create a handy place to put text. But Time doesn't say exactly what was done to the cover photo, and I find myself doubting that it is even a photo at all. It's possible that the sky was extended here. I don't think the photographer would compose the picture with all that empty space at the top of the frame. It just doesn't make sense, compositionally speaking. So sure, the designer could create a place for the cover text to go. But without more information about the digital alteration, I found myself looking harder at the overall picture, and the more I do, the more it looks like a collage to me. Was the woman really standing in the foreground with her arms raised like that? Or was she "layered" into the photo? Was she really standing in front of structure that way? And what is that fence with the people standing behind it in the middle of the frame? Was that really there too? 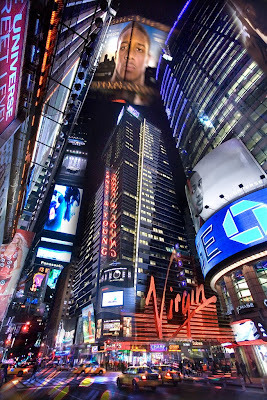 Or is this a composited picture with three or four source photographs? But I would never have presented the photo as a straight "news" photo. In the age of digital, telling the truth photographically is more important than ever. Any publication that wants to maintain its credibility and authority owes it to readers to explain what was done to a photo, and why. It's been a battle for years. Remember when New York Newsday doctored photos to show ice-skating rivals Tonya Harding and Nancy Kerrigan on the same practice rink before the Olympics? 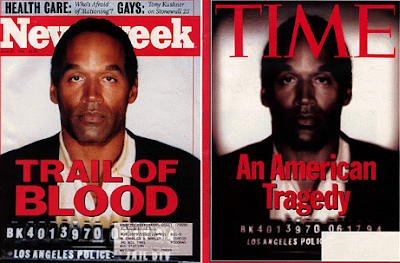 Remember the differences in skin tone between Time and Newsweek versions of the same shot of O.J. Simpson? And remember when an L.A. Times photographer was fired for cloning in a bit of the crowd in a protest photo from Iraq? Photo editors for news organzations are generally pretty clear on the subject: You can't alter an image digitally beyond what might be done in a darkroom. You can adjust for exposure, color balance and saturation, say, but you can't put something there that wasn't there in the original. Back a few years ago at the Chronicle, we had a special baseball preview section that raised similar concerns. The cover shot prominently featured then-Giants manager Dusty Baker. His arms were extended, and he was holding a ticket in one of his hands. But the frame cut off a tiny portion at the end of the ticket. A page designer filled in the corner of the ticket because it suited his design needs for the cover. That sparked an hours-long "conversation" between the art department and the photo department that at times got more than a little hot. We eventually decided to have a somewhat less than perfect design for the sake of maintaining the integrity of the photo. The photo hadn't been altered significantly at all, but we all felt (well, almost all of us felt) that the principle was worth defending. I'm pragmatic about it. If a compelling cover about the Iranian election leads more people to read about what's happening there, I'm all for it. And if you want to use a combination of two or three or a dozen photos to create that compelling cover, that's fine. But just tell me that's what's going on. And that means saying more than Time has in this case, that a photo has been "digitally altered." That's just not enough. 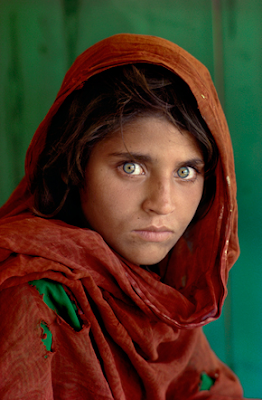 "give me those nice, bright colors"
"I don't think there's a better way to look at the world than with Kodachrome 64 ... "
-- Steve McCurry, whose shot of an Afghan girl is known throughout the world. McCurry may be right, but apparently Kodachrome's time has come and gone. Kodak announced today that it will stop producing the color transparency, which the company said makes up less than 1 percent of its business. The official announcement is over here, along with a very nice interview and slideshow of McCurry's work. (He said his archive includes almost a million transparencies, and about 90 percent of them are Kodachrome.) There's also an invitation to share your Kodachrome memories. Time magazine has a short history and appreciation of Kodachrome over here. Kodak hasn't been processing the film for two decades. There's only one place left in the world that develops it, and it only processes a couple of hundred rolls of film a day. Want to be a better tennis player? Play against somebody who's better than you. Want to be a better writer? Read the people you admire. And if you want to be a better photographer, look at some really good work. 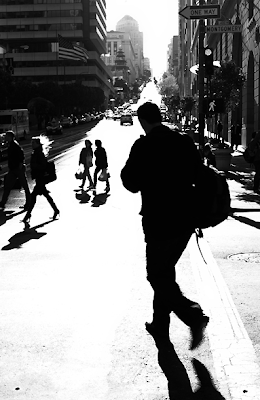 Flickr is fun and encouraging, and there's lots of really good work to sample. But there's a lot that's not so hot, and there's a lot that feels more like Facebook than photography. The social networking ramble ain't restful, as Satchel Paige might have said. It can be a huge distraction and keep you mired in mediocrity. So work in some time looking at things that will take you from where you are to where you really want to go. PDN's Photo Annual 2009 has been out for a litle while now, and it's a great place to see some of the best current work of the world's leading photographers, all brought together in one package. And if you're wrestling with how to design your website, take a look at the award-winners in that category. It might help you articulate what kind of presentation you're trying to achieve. I succumbed to the lure of digital photography about five years ago. To that point, I was a film snob. Digital was silly, inconsequential and low-quality. (So much has changed in the quality part.) ... I looked down my nose at people who were all about the quick and easy of digital. 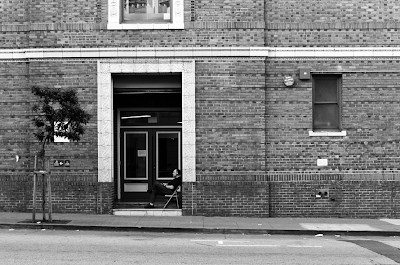 Then one day in the darkroom at the San Francisco Photography Center, where I would spend hour after weekend hour making prints, I had a casual conversation with someone who said, "Oh yeah, I've been posting a picture from my life pretty much every day for the past two years." What? The same day? A picture produced and posted the same day, every day? Just like that? I went to the site, went through the archives, and that was that. I was in. The next day bought my first digital camera, a Canon Elph. Anyway, when you DO come across a really good photoblog, and it's about the town you live in, well, it's worth talking about. Manuel Guerzoni is a really good photoblogger. His style isn't easily described. He's does street documentary, excellent portraits, even a moody landscape now and then. But his photoblog is full of personality and insight, with a quirky sensibility, and that's really what you're looking for: Someone who sees the ordinary in an extraordinary way. Good stuff. An Alabama company will make fully washable shower curtains from your digital photographs. Upload your files, specify a size and four weeks later you get the shower curtains of your dreams. "Custom shower curtains are no longer a dream! 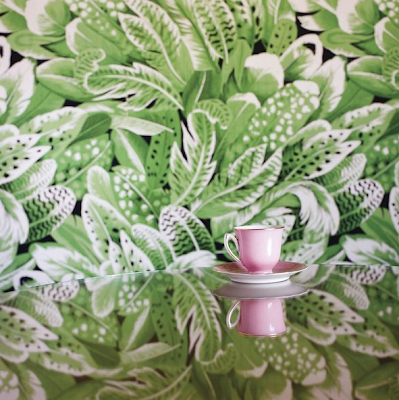 You can have a unique shower curtain printed that is just as unique as you are." At $199 or $149 depending on size, this could be a fascinating opportunity for inspired interior design, or an expensive bauble for the photo egoist who has everything? You decide. Olympus unveiled its Micro Four Thirds camera today, and it has done nothing but produce a surge in camera lust. You are probably familiar with the Four Thirds (and Micro Four Thirds) system: It is a line of cameras and interchangeable lenses that are meant to marry the size advantage of compact cameras and the quality images produced by DSLRs. So far, Panasonic has produced two Micro Four Thirds models, the Lumix DMC DH-1, which has HD video, plus the DMC G1, which is essentially the same camera but without video. Now comes the Olympus version, the E-P1 and god it is sweet. When Olympus launched the legendary Pen series of cameras in 1959, this bold and revolutionary achievement rewrote the history of photography. Designed by renowned style guru Yoshihisa Maitani, the Pen represented the perfect marriage of simplicity, style and performance. But this camera is most definitely modern: 12 megapixels, image-stabilized, integrated dust-removal and a three-inch screen. It doesn't come cheap, though: The anticipated price for the body, which will be available next month, is $700. 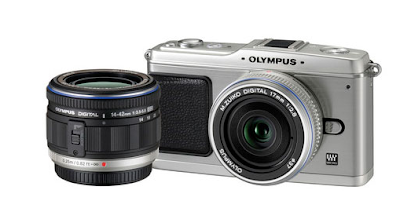 Olympus has also announced two lenses, a Zuiko 14mm-42mm f3.5-5.6 ($800) 3X zoom and a 17mm f2.8 ($900) prime. What you've got here is a camera with a sensor about 9 times the size of a "normal" compact camera (with useable ISO up to 1600), plus some gorgeous lenses, and it all fits in a package that would fit nicely in a jacket pocket.